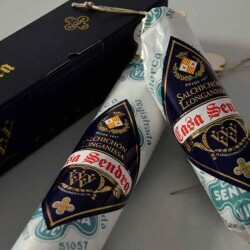 The star product of Casa Sendra, a superior cular sausage considered the best sausage in the world, now available in Enrique Tomás stores. 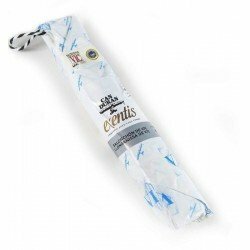 Get a 1300 gram piece of a spectacular sausage, seasoned with salt, white pepper and black peppercorns, made with the noblest meats of selected bristles. Don't miss the opportunity to surprise your guests or simply your palate with one of the most representative sausages from VIC, the Salchichón Cular Superior from Casa Sendra. 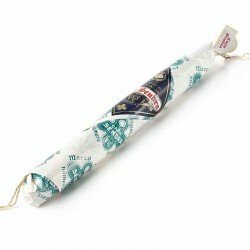 The products of Casa Sendra have an immense tradition behind them, their main characteristic, besides the excellence, is the artisan sense of their production and the love for the world of sausages. 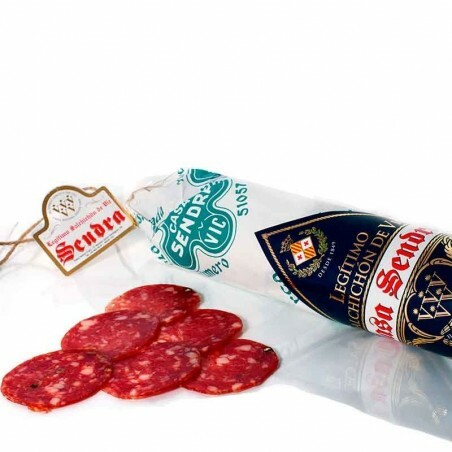 All these factors have contributed to the fact that Casa Sendra, in addition to producing sausages, has become the producer of a prestigious, world-renowned sausage. 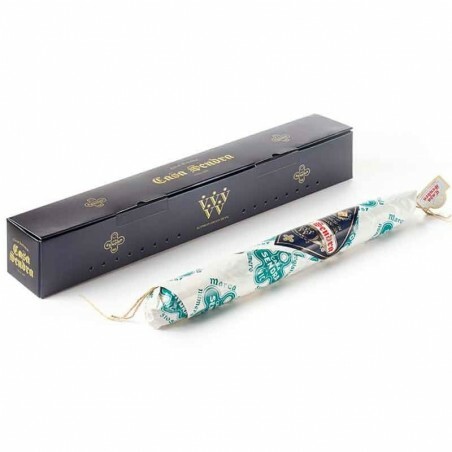 The artisans of Casa Sendra have been concerned about creating a genuine product full of essence, in which all the details have been taken care of, from the delicate curing process to the best raw material. See for yourself the result and take home an exclusive and unique sausage from Vic. 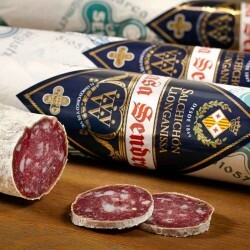 Salchichón is a type of dry cured sausage typical of several European countries and which stands out for its traditional character. In its preparation, high quality meat is used, Iberica de Bellota if it is the case, together with a delicate mixture of spice in which the black peppercorns stand out, giving the product its characteristic aroma and flavour. 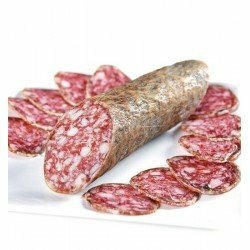 The sausage is stuffed into a pork intestine and is usually large and thick in size. As for the curing time, this is usually defined by the size of the piece, the larger and wider the piece, the longer it takes to cure. In any case, the most important thing about the sausages and the salchichón that we sell at Enrique Tomás is that they are made according to artisan methods under the strictest quality controls. The result is obvious to the eye and the palate. 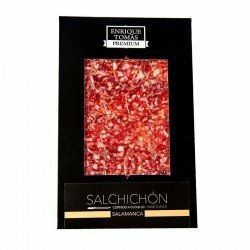 Despite being a simple product, the salchichón is unique, with a delicious taste and with an ideal presentation for all kinds of evenings, from an elegant snack dinner to the filling for children's sandwiches.